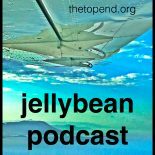 Jellybean 82; Extraordinary tales of ordinary heroism. An Iraqi Story. The best thing about making the jellybeans is that I get to meet some thoroughly excellent people. While at the CICM ASM in Sydney I was introduced to a gentleman named Wisam Al-Basaam and he had a story to tell. When I say gentleman I really mean gentleman. Wisam is a consultant intensivist at the Austin Hospital. That is a pretty good job. It’s a very good hospital and most of us would be very happy to get a gig there. For Wesam the road to the Austin was serpentine, three countries, three systems, war, death, terror, trauma, uncertainty, adversity, hard work and ultimately a new start. A new start here in Australia. Wisam is very highly respected by his peers, he is a high performing clinician in an elite ICU. (I know this because those peers told me as much.) Australia is lucky to have him. He feels lucky to be here but the people that access his public hospital ICU are also lucky. Every moment that I experience the best of the free services we have here in Australia I feel lucky. Free emergency and intensive care services are common and usually excellent here in Australia. It is not the same for every specialty and I am proud to work in the part of a system that does not require people to pay up front just because they are sick and need healthcare. I get paid. Wisam and all the other doctors and nurses that worked like him in Iraq often didn’t get paid. He shares just a few stories from his early post-graduate years when his country didn’t even have a government. No one got paid. And yet they worked. They worked in a dangerous environment with little or no support and little or no equipment. There were no camera crews. There was no glory. They still worked. Wisam didn’t think of his story as exceptional. Unfortunately he is correct. But that doesn’t stop him being a hero. A role model. He is the sort of Australian that makes me feel like I want to be part of this country. Thank you Wisam. Thanks for sharing your talents, your story and your hard earned wisdom. Thank you also to Rahim Alhaj and Amjad Ali Khan, playing the aptly named Common Destination from their album Ancient Sounds. You can find that on iTunes. I found it on Soundcloud where you can find all the jellybeans arranged in playlists based on themes. This one is in the War, Terror and Catastrophe group. I write this on “Melbourne Cup Day”. On ”Melbourne Cup Day” war is happening. On “Melbourne Cup Day” people are being raped. On “Melbourne Cup Day” people are dying. This entry was posted on November 8, 2017 by Dr Doug Lynch @TheTopEnd in Uncategorized.